Nantucket Sheds are carried by many garden centers, nurseries, landscaping centers, and home improvement stores throughout New England. You can contact our 21 shed dealers in Massachusetts, including Cape Cod and Nantucket, or in Rhode Island, Connecticut, and New Hampshire. Once you have selected the right shed for your property, our expert builders will deliver the pre-cut, wooden 'kit' to your address and construct the shed on site. 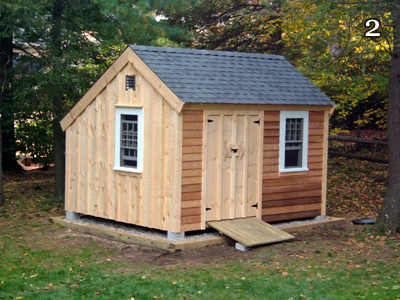 We offer many different shed sizes, shed styles, and additional options that may be added to your custom shed. 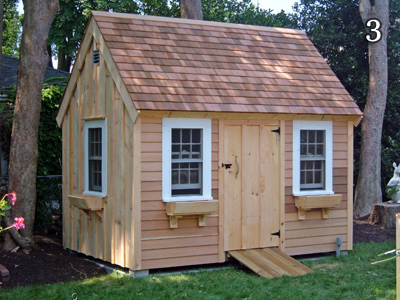 Nantucket Sheds offers three styles of sheds: Classic Sheds, Saltbox Sheds, or Loft Sheds. Each custom shed can be built in various sizes and additional options are available for each shed design. We use durable, Certainteed XT™25 roofing shingles on our custom sheds. These exceptionally durable fiber glass-based 3-tab shingles with a high tear strength rating are the perfect choice for our wooden sheds. You can select optional features for our custom-made sheds. Options like additional windows, decks, & ramps add a touch of elegance to our sheds. 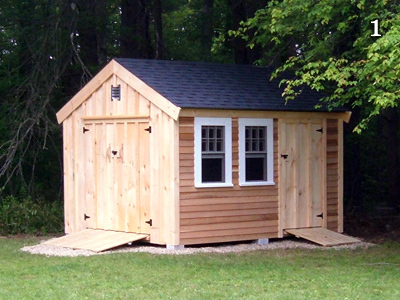 View additional photos of our custom-made garden sheds & storage sheds.